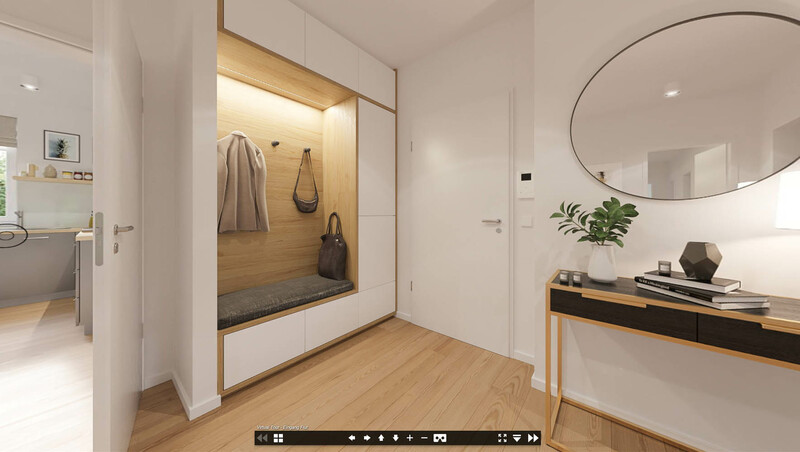 With a VR 360 ° panorama you have the opportunity to capture a room in its entirety and to look around virtually on site. Take advantage of this attractive type of presentation and benefit from our many years of experience and expertise in architectural visualization. The advantage over static 3D visualizations is significant. 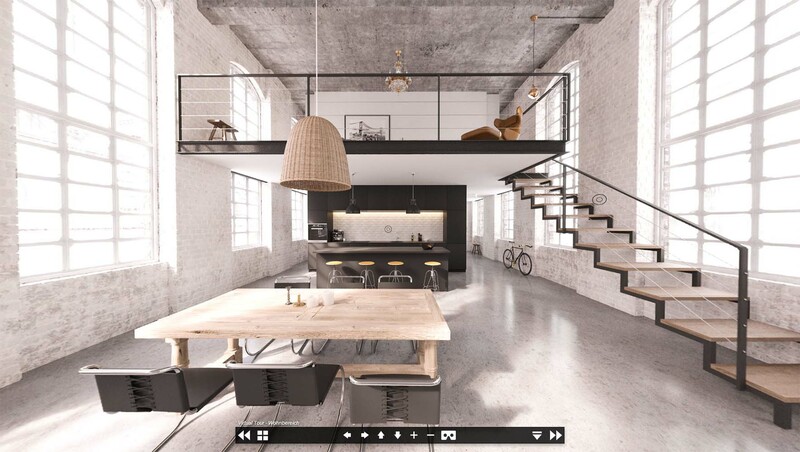 360° panoramas create a real sense of space. To enhance the 3D effect, look at the panoramas through a smartphone or – even better – VR (Cardboard) glasses. Prerequisite is a smartphone with a gyroscope, a feature that most superior smartphones have and inexpensive VR glasses which basically consist of a holder for the mobile phone, 2 lenses and a headband.